Qatar participates in the marking of World Tuberculosis Day, which falls on March 24 each year. The theme of this year's World Tuberculosis Day is "It's Time" which was taken by the World Health Organisation (WHO) and the world to speed up progress in ending tuberculosis and meeting the promises made by world leaders in the Political Declaration of the United Nations (UN) high-level meeting on ending tuberculosis, in September 2018, in which Qatar participated actively. The elimination of tuberculosis is among the priorities of Qatar's public health strategy in line with the UN sustainable development goals, which aim to eradicate tuberculosis by 2030. The efforts of the Ministry of Public Health are based on raising the awareness of tuberculosis and providing comprehensive coverage of treatment and preventive services as well as early detection with the highest quality standards for these services, which includes screening services for all applicants in Qatar, as well as the provision of medicines, totally free for all patients. The anti-tuberculosis drugs are given under direct medical supervision in all cases, in addition to raising awareness of tuberculosis and prevention methods among citizens and residents through lectures, meetings, distribution of publications in different languages. The efforts of the Ministry of Public Health in co-operation with Hamad Medical Cooperation and Primary Health Care Corporation, along with all sectors of the state, the private sector and civil society, have contributed to maintaining very low levels of tuberculosis in Qatar. Furthermore, Qatar participated in the successful ministerial conference on ending tuberculosis in Moscow in November 2017. The ministers and leaders from 120 countries pledged high-level commitments to accelerate the progress on ending tuberculosis. 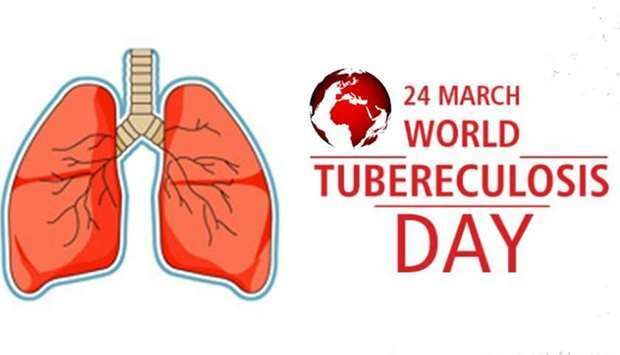 The tuberculosis is the world's leading killer among infectious diseases, with WHO reporting that every day 4,500 people die from the disease, and 30,000 people infected every day, despite significant progress over the past two decades in fighting this diseases. The emergence of multidrug-resistant tuberculosis poses a major threat to global health security and may jeopardize gains in tuberculosis control.